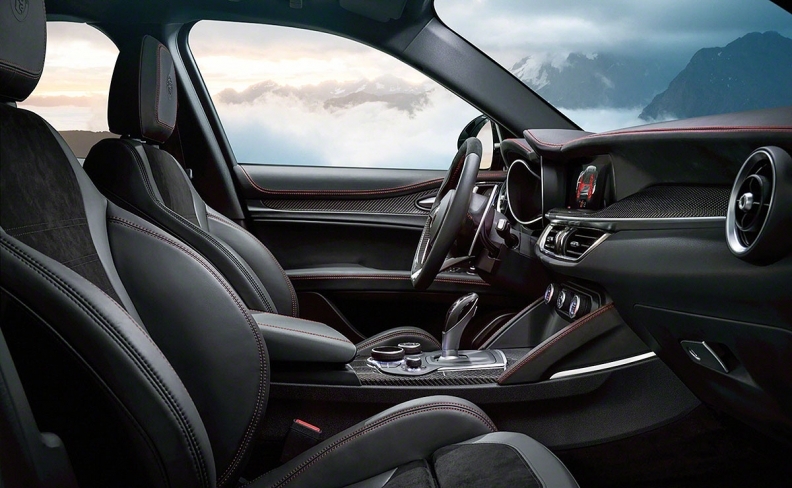 Alfa Romeo's all-wheel-drive Stelvio features a torque vectoring differential to improve traction and stability, while its standard Q4 awd system allows transfer of up to 60% of torque to the front axle. The 2018 Alfa Romeo Stelvio -- the first crossover from the resurrected brand and key to Fiat Chrysler’s hopes of restoring Alfa Romeo to global relevance -- features a trim lineup that puts German competitors squarely in its sights. Alfa is the latest luxury marque -- after Porsche and most recently Jaguar, Maserati and Lamborghini -- to expand beyond a traditional car lineup and market increasingly popular SUVs and crossovers. 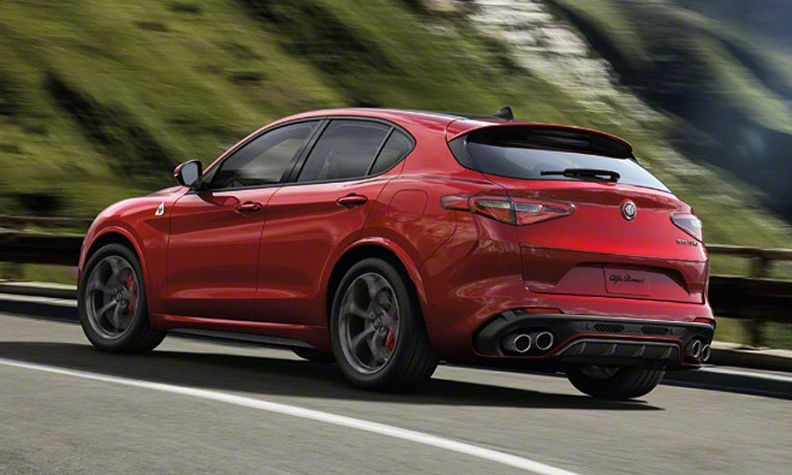 The Stelvio will come with two available engines. The base model and midtrim Ti is powered by a 2.0-liter turbocharged inline-four with direct injection making 280 hp and 306 pounds-feet of torque. 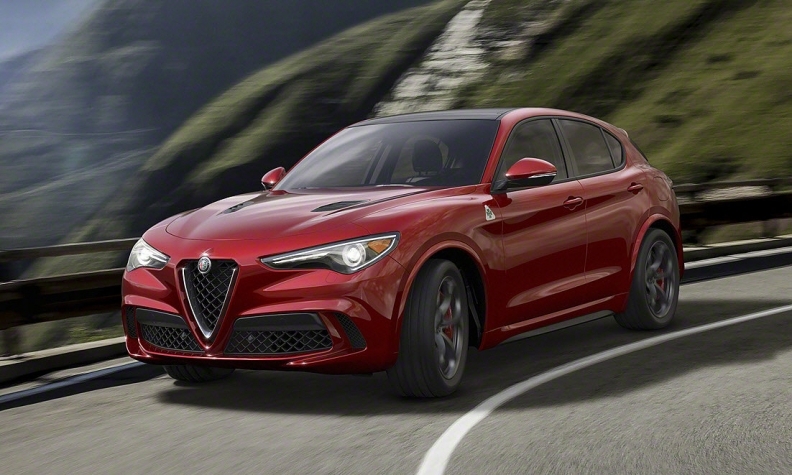 The top-end Quadrifoglio is powered by a 2.9-liter biturbo V-6 engine that generates 505 hp and 443 pounds-feet of torque -- good for a 0 to 60 mph time of 3.9 seconds, according to press materials obtained by Automotive News Europe sister publication Automotive News. The V-6 also features cylinder deactivation, allowing it to conserve fuel by shutting off half of its cylinders when not under load.